for $135,000 with 3 bedrooms and 2 full baths. This 1,455 square foot home was built in 1927 on a lot size of 0.34 Acre(s). When only small town living will do, this is the property for you. 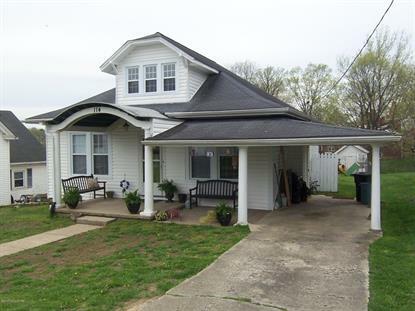 Come home to the cozy and comfortable three bedroom two bath vinyl ranch with 24x30 two car detached garage located at 114 McKay Avenue. Great curb appeal with covered front porch & attached 1 car carport. Enter into the 9' ceilings & lovely hardwood floors of the Living Room with fireplace (nonworking) Kitchen with nice new white cabinetry and comes equipped with a full compliment of stainless appliances. Formal Dining Room with lovely hardwood floors. Nice Master suite & Bath along with an additional bedroom and full bath complete the main level of the house. Upstairs you will find 235 sq. ft. of carpeted living space (nonconforming) which serves as a 4th Bedroom. 600 sq. ft. unfinished in the partial basement.